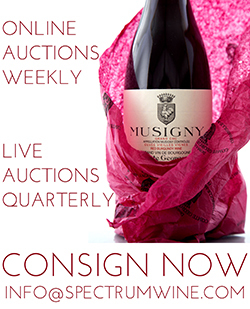 To get started on the exciting and rewarding path of consigning with Spectrum Wine Auctions, simply fill in the following Consignment Form with your consignment information. Upon completion of your form, it will be e-mailed to the professionals at Spectrum Wine Auctions, at which time we will be able to start working for you! 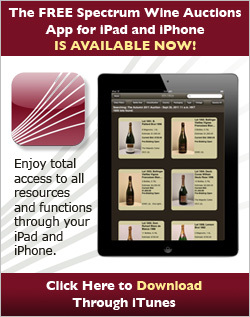 Should you have any questions about completing this form, the items that you have, and/or the Spectrum Wine Auctions process, do not hesitate to contact us at (888) 982-1982 or via email info@spectrumwine.com. Please log in first to start your submission. Click here to log in to your account.